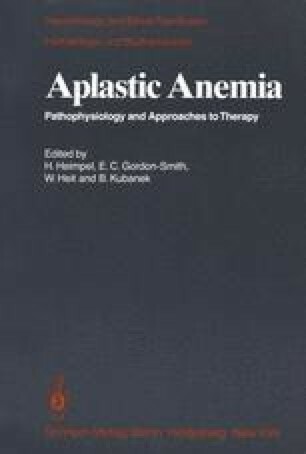 The pathogenesis of severe aplastic anemia is not known. Therapeutic approaches have usually involved uncontrolled empiric trials of various stimulants of hematopoiesis. Recently, a prospective controlled trial evaluated the efficacy of androgens and bone marrow transplantation for treatment of severe marrow aplasia [3, 4]. Results of this study may permit limited inferences as to the pathogenesis of bone marrow failure.